There are 27 posts in this thread, and it has been viewed 26584 times. 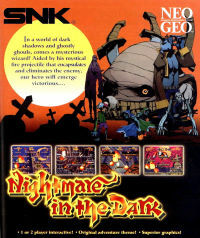 Nightmare in the Dark is an MVS only release and a game that is often overlooked. Made by Eleven/Gavaring Co. Ltd and published by the "old SNK" shortly before they closed their doors, it's a game very much in the same vein as the classic title "Snow Bros.", but with a darker horror style. Each stage is a single static screen, and the aim is to kill your enemies by throwing fireballs at them. After hitting them a few times, they turn into a larger fireball which can then be thrown at other enemies. The large fireballs bounce around the screen after being thrown, and you receive more points and other bonuses if you take out all the enemies on screen in one go. I do think that this game is a lot of fun, but I've always been disappointed about how short it is. If they added a bit more variation to the game and more stages it could have been a real winner, as it is it's just a fun game to play from time to time, but with little replay value after you finish it a couple of times. I'm enjoying playing it again though! How do you guys rate this game? I compair It to much with Zupapa but I do love Zupapa. I think NITD Is slower and not as fun as Zupapa but I still want to add It to my ever growing collection. I love this game! It harks back to a simpler time in videogaming history, a time when Snow Bros., Bubble Bobble and New Zealand Story were in every arcade. Sucking change out of our pockets in a way modern cabs wish they could. Simple. Addictive. Fun. Pity it never got an AES/CD release. I think, if it had, it'd be held in much higher regard. Agreed. 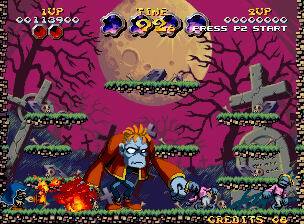 I miss static screen arcade games like Pac-Man and Dig Dug and outside of a handful of puzzlers and a couple others, NitD stands on its own for that in the neo library. It's more than a great break from the classic fighters and shooters on the system - it completely stands on its own. I was looking forward to this game of the week and now to playing it again. By the way, the music... awesome or annoying? I personally love it (along with the overall presentation). I'm so sorry Kaz!! Ahh!! But... This game looks pretty sweet! As a fan of Bubble Bobble and Snow Bros. It looks like a nice upgrade on everybody's favorite 24... er *coughs* 16-bit machine. 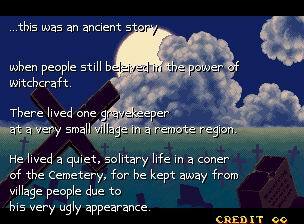 It is quite in the style of Taito's "Bubble Symphony" and "Bubble Memories" and that creepy stuff does kind of remind me of Capcom's "Super Ghouls n' Ghosts". When I first heard the title "Nightmare in the Dark" I thought it was going to be some scrolling platformer like "Magician Lord" not in this style, but its not bad for starters. I'd say it's a real puzzler and riddler. Alright, I�m surprised that NiTD actually won as well especially since TSS has so many fans here. Anyways I love this game and probably one of the reasons why I do is because of the horror theme. The fact that you are a deformed grave-digger who goes around the cemetery at night burning skeletons, zombies and ghost is just plain-out awesome to me. 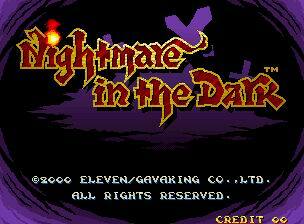 It seems that there is a lack of horror games on the neo-geo and this game is a much appreciated rarity to me. The game itself... 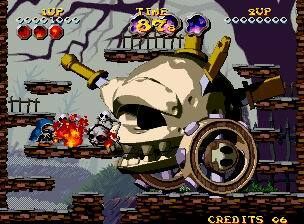 I think that bosses look pretty awesome (especially the weird skull with wheels). The game is challenging and although the game is simple, therein lies it�s appeal to me. Two player mode can also add the the fun. Another thing that does add to the replay value to me is the fact that the game is so short, sometimes if I feel in the mood for the game I can sit down for about 45 minutes and play through (sometimes I have a short gaming attention span). 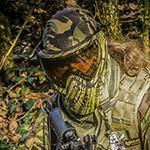 This can be counted negatively to some and I guess that�s why the game isn�t really that well known. 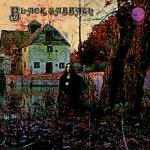 The music � I actually like it, true they could have done better but, the music is not uttely horrible. So as a whole NiTD to me is a pretty odd-ball game but I am sure that everybody can find some things they can appreciate about it. This game surprised me. I remember actually sitting down and beating it all the way my first time playing it. I find it's a decent time killer like Ghostlop. The best horror game I've ever played which is quite an aged shooter but still playable and enjoyable with a decent storyline is "Zombie Raid", it may not be as enjoyable as "House of the Dead" quartrilogy but its like a very early era version of Resident Evil. I hope that isn't too many Non-SNK games listed here, but indeed Neo-Geo does lack horror and they longer make medieval fantasy games anymore. Nightmare in the Dark doesn't look enough to frightened even a toddler even if its not cuddly and cute like Bubble Symphony. I reckon Nightmare in the Dark is a pretty good game. It's been a while since I played it but I'm going to have a few sessions this week. Graphics are pretty good and I like the soundtrack too. This kind of game offers a nice bit of variety in the Neo's library. It's a real shame this was MVS only :sweat: I do prefer Zupapa though. I never knew what both Shiny and Merlin pointed out ; NiTD never got an AES release. That has to be one of the reasons that NiTD is sort of unknown and overlooked. Anyways I would have loved to see this at the arcade, I would have gleefully emptied my quarters into the cab. Has anybody had the chance to play this game in an arcade before? I wonder how the marquee looked. I've seen the marquees before. It's just the logo over black if I remember. Question for those that prefer Zupapa - why? Personally, I love NitD's style but it can get a bit samey, and by direct comparison can seem a little sluggish at times... Not that I wanna take anything away from it, it's a great game. Imo, all things considered, Zupapa is the better game of the two. There's not much to choose between them but for some reason I just find the gameplay of Zupapa a bit more enjoyable. 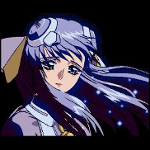 Also I really prefer the style of the graphics in Zupapa. Very colourful and with nice variety between the different worlds. I love the music In Zupapa especially the Techno tunes. The worlds and level layout seem more varied. The fact that you can move down without having to fall or jump off platforms. NITD Is good I think Zupupa just adds more to the gameplay overall. Great game with really good looking graphics, also very fun to play. It's a shame they never releaes this one on the AES. Some good discussion going on for this one, keep it going! Definitely enjoying playing the game as well, although I think in the coming weeks we are definitely going to have to cover Zupapa! Looks cool! I'd like to try this game (on original hardware), but it's quite expensive, right?